IT IS NOT AVAILABLE FOR SALE. WE DO NOT SELL INDRAJAAL OR BRAHMAJAAL. DETAILS SHOWN BELOW ARE STRICTLY FOR THE INFORMATION PURPOSES ONLY. Here are the details about the Maha Indra Jaal & Brahmajaal. You can now know about what experts say or our pauraanic granthas say about this miraculous product. Indra Jal or Maha Indrajaal is a very well known item in the astrological & religious history of the world. It is a root of a special plant, which is very rarely found & known for its magical effects, if activated properly and be used at your home or office. It is used to get rid of any ill or evil effects, get rid of nazar dosh and financial troubles, black magic, vastu dosh nivaran, clear out the negative energies around, activate the positive energies, guard the place against theft, and activate luck of the occupants. For immediate results & faster relief, it should be placed well or as prescribed by a professional. 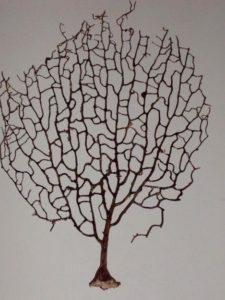 In scientific language, it is known as Sea Fan. These are genuine products rarely available and can prove very beneficial if used under proper guidance and supervision of a qualified occult practitioner. Its also very much helpful in peace of mind and harmony in family. It helps in financial crisis and makes a person intelligent. Its a unique item to overcome the enmity, sickness, loss in business etc. It also brings money and power. It protects the adversity and help to overcome unnecessary harassment and loss of prestige. great tool for vastu dosh nivaran, a very rare tantrik product. Indrajaal is very rare and of great importance. It can not be found easily and can not be imitated easily. Its importance and benefits are mentioned in scriptures like Dawaratantra, Vishwasara & Ravan Sanhita. It gives great benefits to a person if he keeps it in his place of worship / puja ghar or in your living room or getting it framed and mounted on wall. It is also considered as talisman, full of positive energies and magical powers. NOTICE: We have stopped dealing in & selling INDRAJAAL & BRAHMAJAAL completely. 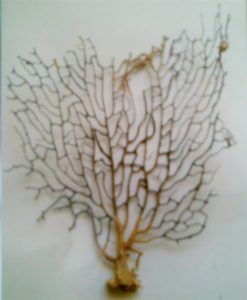 It is declared as a Rare & Endangered Plant Species. To save environment, we have Discontinued any sale & purchase of this item / product many years back! DETAILS GIVEN HERE ARE PURELY & STRICTLY FOR INFORMATION PURPOSE ONLY.